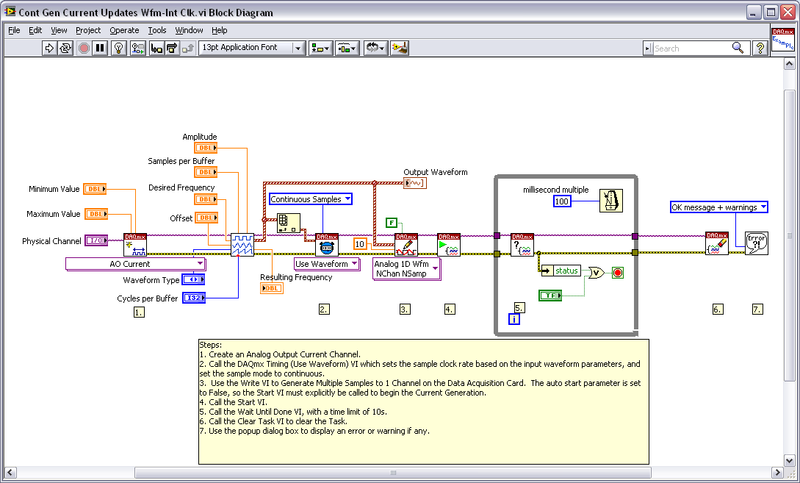 Does your product provide examples, guides, or walk-throughs demonstrating how to use your product with LabVIEW? Do your examples demonstrate typical use cases for your customers? 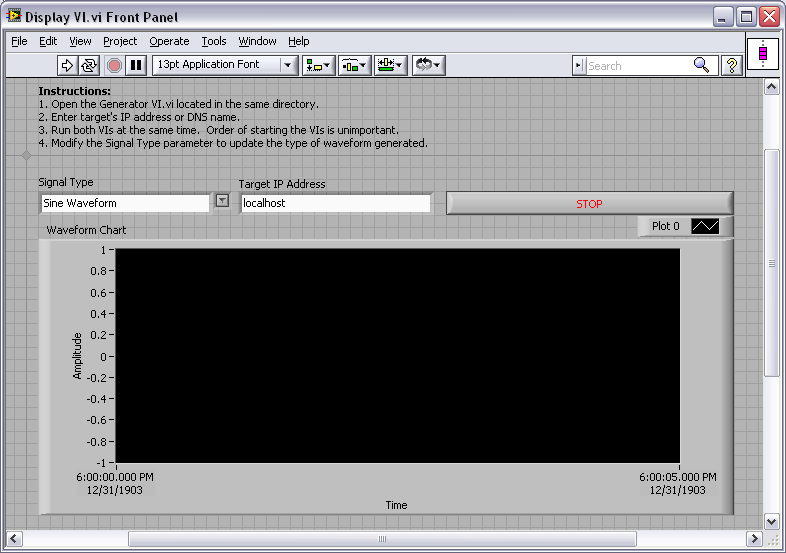 Are your example VIs located in the LabVIEW\Examples folder? Are your examples integrated into the NI Example Finder? Do your example VIs contain a VI Description? Do the default values of your examples allow a customer to run the VI without modification? Are any required steps for a customer, such as selecting a DAQ device, documented with free labels? Is a consistent font used throughout your example code front panels? Do your examples use path controls instead of string controls for specifying the locations of files and folders? Are your controls and indicators are arranged logically and attractively? Do you make use of color logically and sparingly? Is the block diagram size reasonable and not negatively impacting the readability of your code? Have you used comments or free labels to explain use of block diagram functions and algorithms? Does data flow from left to right? Are functions, terminals, and constants aligned and distributed? Are any objects placed on top of wires? Were path constants used instead of string constants for specifying locations of files and folders? Are you using data flow rather than sequence structures to control the execution order? Are you using local and global variables sparingly? All LabVIEW Add-ons must include examples or guides demonstrating how to properly use the toolkit, utility, platform extension, etc. If LabVIEW example VIs are provided, these examples should be stored in the LabVIEW\Examples folder in a directory following the naming convention outlined in the File and Folder Names for Integrating into LabVIEW document. 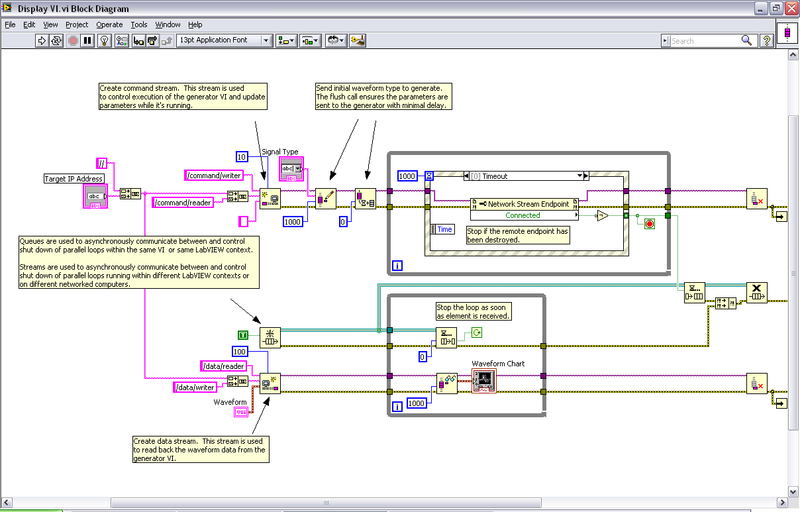 It is also good practice to integrate your LabVIEW examples into the NI Example Finder. There is a LabVIEW utility found under Tools > Prepare Example VIs for NI Example Finder which can be used to generate a .bin3 file for incorporating your examples into the NI Example Finder framework. Please refer to the Adding Example VIs to the NI Example Finder document and the LabVIEW Help article for more information. When example VIs do not apply to your product, providing a detailed guide or walkthrough is necessary to provide your customers with some direction on using your product. We have seen 'Getting Started' guides and videos used to document use of products and these work very well. The goal here is to improve on the 'out of box' experience and allow customers to begin using your products through some form of an example or tutorial as soon as possible.